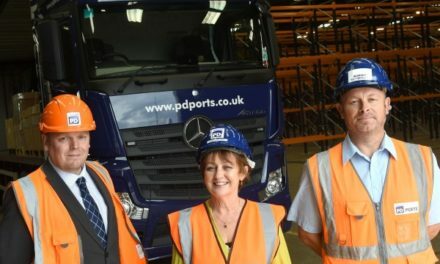 Helping young people into employment is an important part of the ethos of PD Ports which is why the company is delighted to be supporting Daisy Chain’s employability scheme. 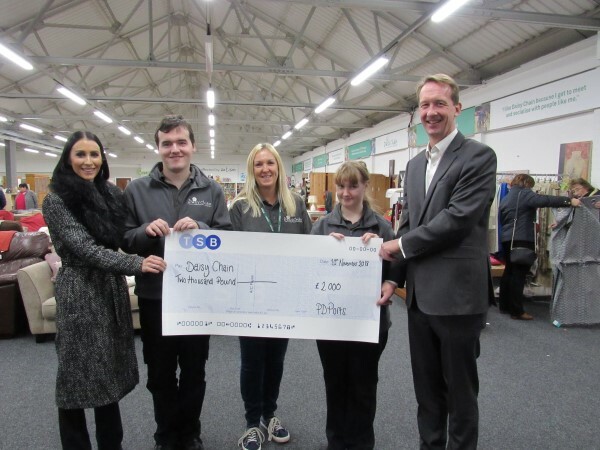 Frans Calje, Chief Executive Officer, and Kirsten Donkin, Head of PR, Marketing and Communications, called in to the charity’s superstore in Stockton to meet students and drop off a cheque for £2,000 to help support the scheme. Daisy Chain’s employability course works with young adults on the autistic spectrum or who are going through the diagnostic process, to gain qualifications in employability skills as well as valuable work experience in the charity’s superstore at Portrack Lane in Stockton. The course covers a wide range of topics including health and safety, food hygiene, manual handling and customer care. Students also have the opportunity to practice interview skills and take part in an enterprise project. Frans and Kirsten met Emma and Sean who described the skills they were learning through the employability course including applying for jobs and writing CVs as well as practical experience working in the Daisy Chain shop sorting donations, pricing them and gaining valuable team working skills. 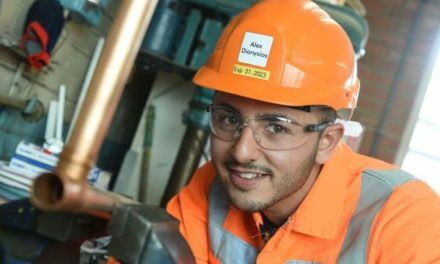 Frans said: “It’s important that schemes like this get the support they need to help young people gain the skills they need to get a job in the future and achieve their independence.